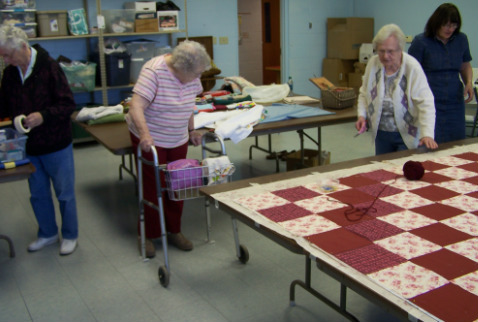 Lutheran World Relief supplies full size quilts all over the world. 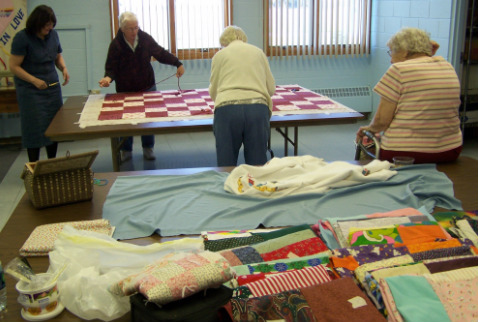 These quilts are used for many things such as baby carriers, nap sacks, or transporting items to market just to name a few. 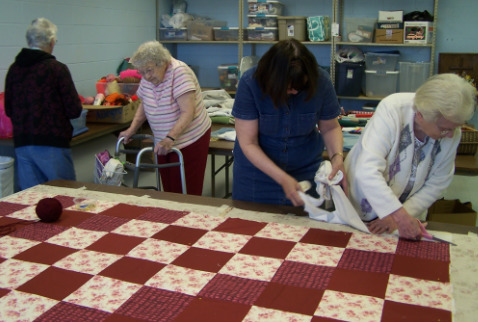 A group of women at Zion has been involved in this ministry for many years. 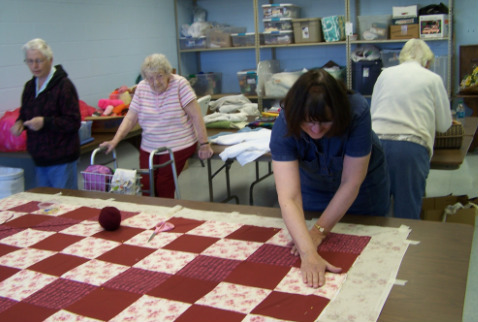 Most materials are donated repurposed fabric. 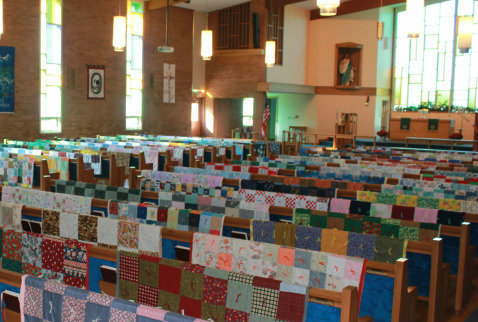 We always look forward to the Sunday that each quilt is on display in the church before being shipped out for someone to receive. 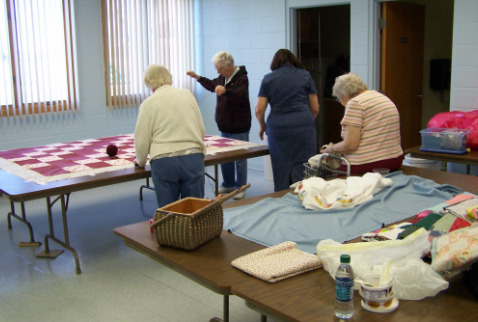 The quilters meet every Tuesday at 9:00 am and work until 2:00 pm. Anyone is invited to join them whether it be for the whole day or just an hour our two. What ever your schedule permits, you are welcome! For more information contact the church office at 642-5909. For more information on Lutheran World Relief visit their website at lwr.org.